In the Canadian certified pre-owned vehicle market, it was the strongest October on record for Mercedes-Benz, which sold 1,259 CPO units last month. That beats year-ago figures by 11.4 percent and puts the year-to-date tally at 11,906 units through 10 months, a 2.8-percent gain. Likewise, Volkswagen had its strongest October ever for CPO. It sold 2,081 certified vehicles, compared to 1,605 a year ago. 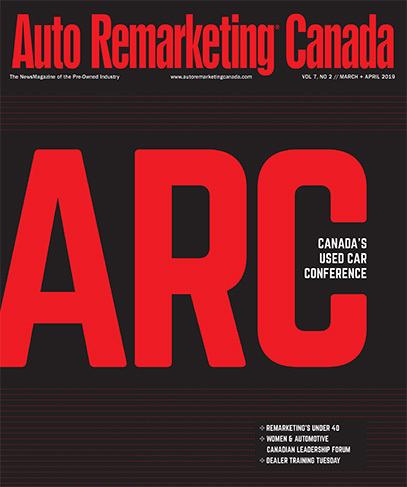 Year-to-date sales of 17,992 were up from 14,568 in the same period of last year. Next up, Nissan had 854 CPO sales in October, compared to 599 a year ago. Its year-to-date sales are at 7,848, compared to 8,249 through 10 months of 2017. Meanwhile, Infiniti moved 107 certified vehicles in October, up from 77 a year ago, and has sold 985 so far this year, down from 1,125 a year ago. Toyota posted 2,977 certified sales for October, against 2,590 in October 2017. Its year-to-date sales are at 30,457, compared to 26,320 through 10 months of 2017. Lexus had 468 CPO sales for the month, versus 378 in October 2017. Its year-to-date sales have climbed from 3,722 through October 2017 to 4,359 this time around. Porsche sold 220 certified units in October, against 196 in October 2017. Through 10 months, CPO sales are at 2,152, compared to 1,783 last year.